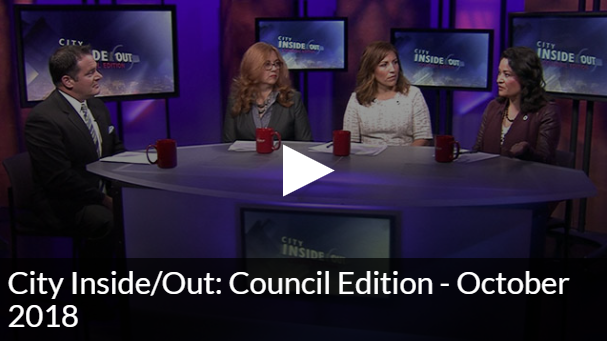 Council Connection » #TeresaTuesdays – Budget Deliberations Continue; Renter and Landlord Support; #Union Halloween; and more! #TeresaTuesdays – Budget Deliberations Continue; Renter and Landlord Support; #Union Halloween; and more! Budget season is well underway, and we are preparing for upcoming meetings to discuss priority issues. These meetings will be where members discuss identified issues with the proposed budget, as well as early ideas for amendments and additional requests of departments in 2019. A public hearing is scheduled for Tuesday, October 23, at 5:30 p.m. During this meeting, all people who sign up to testify will be given 2 minutes, and the hearing will end after the last speaker. Please consider coming! “Budget Issue” discussions kick off this Thursday, starting with deep dives into the budgets for the Department of Construction and Inspections and Department of Neighborhoods at 9:30 a.m. in Council Chambers. This will also be the first discussion of my office’s request to consider performing a racial equity toolkit on the Urban Village Strategy adopted in 1994, to better evaluate whether this growth option meets our city’s stated values. Having this information in hand prior to the next major comprehensive plan updates, and centering our discussions on equity early, makes sense, and I’m excited to bring this proposal forward with Councilmember Rob Johnson. Session I – 9:30 a.m. Session I – 10:30 a.m. Session I – 9:30 a.m. Session I – 9:30 a.m. Session II – 2:00 p.m. Session II – 2:00 p.m. Session II – 2:00 p.m. Session II – 2:00 p.m.
Public comment is at the end of each budget meeting, meaning it will follow issue discussion for Session II. In the event issues discussed in Session I are not completed by the end of the session, they will continue during Session II. On October 29, Central Staff and the City Budget Office will present a revenue projection update, and beginning October 30, Council will discuss “green sheets” – specific budget requests from Councilmembers. The Budget Committee Chair is scheduled to present a proposed budget with adjustments for Council priorities on November 7, and the Budget Committee will resume work on the budget, including votes, the week of November 13. There’s a lot going on, and thank you for your continued engagement and identification of budget priorities! Our office has seen an increase in communications from tenants with concerns about issues ranging from short notice to enter their home by a landlord, to efforts to disallow payment of rent by check or money order. Between the State Landlord-Tenant Act, and local regulations, as well as Fair Housing laws and rules, there are protections for tenants and landlords we want you to know about. Union of Washington (en Espanol) is a central portal for tenants seeking education and support. 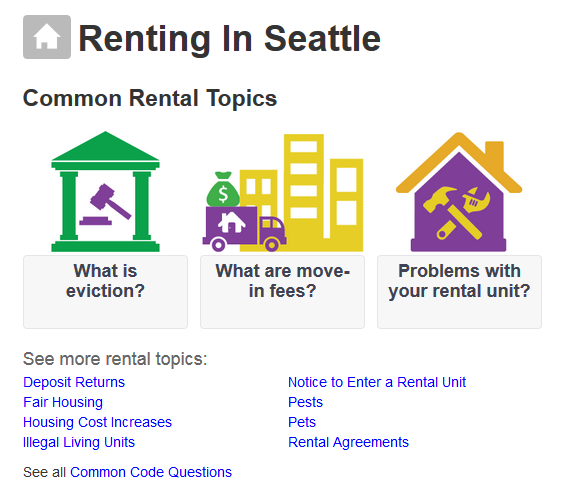 For landlords, the Rental Housing Association is a resource to better understand state and local regulations, and your rights and responsibilities as a landlord in Seattle. Additional information can be found through the Department of Construction and Inspections, which oversees and implements landlord-tenant laws in Seattle. Beginning in 2019, there will also be an easier portal for tenants and landlords to better understand their rights, have questions answered, and get support to ensure that tenant rights are protected, and landlords have the information they need to be successful. More coming in the New Year. We have been getting a lot of inquiries regarding the MHA legislation, withresidents eager to see the bill considered before Council, and amendmentsconsidered on a path toward implementing the zoning changes and developer fees foraffordable housing. As you may be aware, the Environmental Impact Statement wasappealed, and over the last few months, there has been, for lack of a better term,a trial before the Hearing Examiner. The hearing has concluded, and we anticipate adetermination from the Hearing Examiner within the coming months. Depending on the result of that decision, we will have a better idea of the timeline to begin working on this important legislation that will increase funding for affordable housing, and make modest changes to zoning in urban villages. My office has been tracking ideas from the community to enhance the legislation, and I look forward to being able to begin turning those ideas into amendments. You may have also seen the Accessory Dwelling Unit Environmental Impact Statement(ADU EIS) was released, and a preferred option identified. We have heard support for this from renters and homeowners for this housing option. Thanks to the phenomenal work of Councilmember Mike O’Brien, his team, and Central Staff, we have a robust environmental study, as well as a racial equity study identifying additional measures we can take as a city to assist low- and moderate-income homeowners utilize these new rules. I look forward to these appeals wrapping up so we can continue to move forward with plans to ensure we have the housing we need for all income levels, near transit and services, which we know is the best way to protect our environment, address homelessness, and improve health and equity outcomes for communities that have seen historical dis-investment. Image from The Stand. Click to subscribe today! union grocery store in western Washington recently, you’ve spotted the Halloween candy displays. 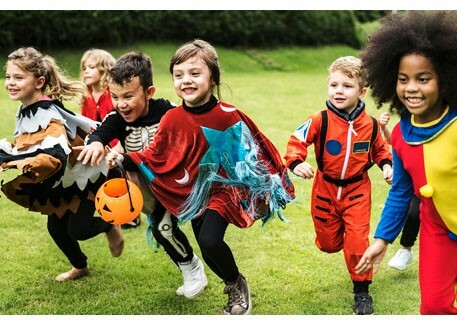 If you want your Halloween to be all treats and no tricks, make sure the candy you purchase supports good union jobs right here in America. Check out the list, courtesy of the AFL-CIO Union Label and Service Trades Department, of union-made Halloween candy and treats. Read more here. Thank you for the opportunity to serve, and for your continued engagement to build a more equitable and fair city for all! Posted: October 16th, 2018 under Uncategorized.